Hello everyone! It’s Tamo here with another article. 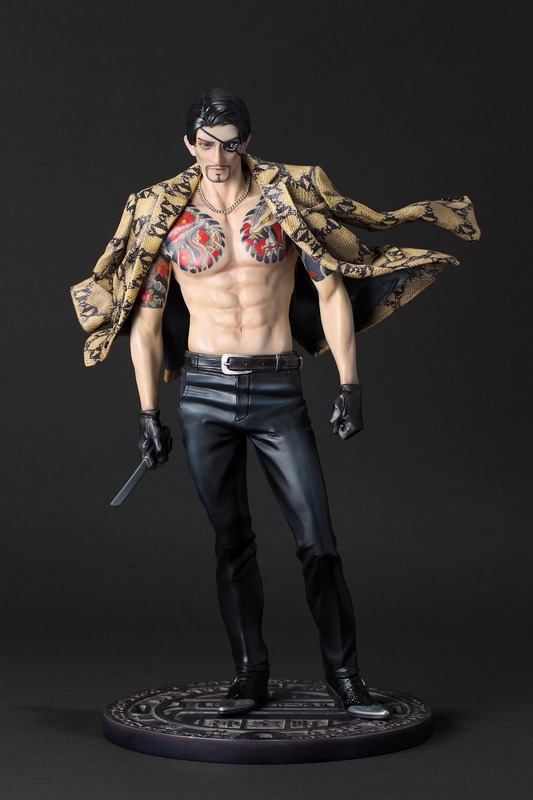 Today I’m here with a review of the Goro Majima a non-scale figurine that was released right after the end of the summer Wonder-Festival 2017 ! First of all, before I begin this article, I would like to give big thanks everyone who reached out to me via SNS with your support and encouragement. 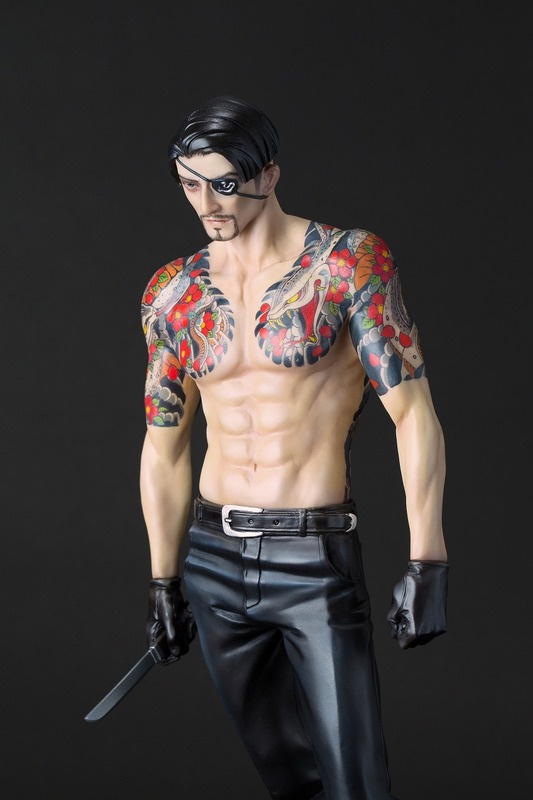 The thing that became the reason for the sales of this item, with activity being seen even at wonder-festival, the Sculptor MIDORO (Twitter) who has created a lot of content with Goro Majima has received amazing support from his followers and molding fans. Also, MIDORO was born in the Kumamoto Prefecture, meaning he was a victim of the Kumamoto Earthquake, and has received support from the development stages. With Kumamoto Prefecture seemingly being on the edge, and whilst we’re still not entirely sure just how much damage it has sustained, after consulting with Kumamoto Prefecture, some of the sales will go to a charity called “Kumamon”. I would like to express gratitude from the bottom of my heart to all the people who are helping Kumamoto Prefecture. 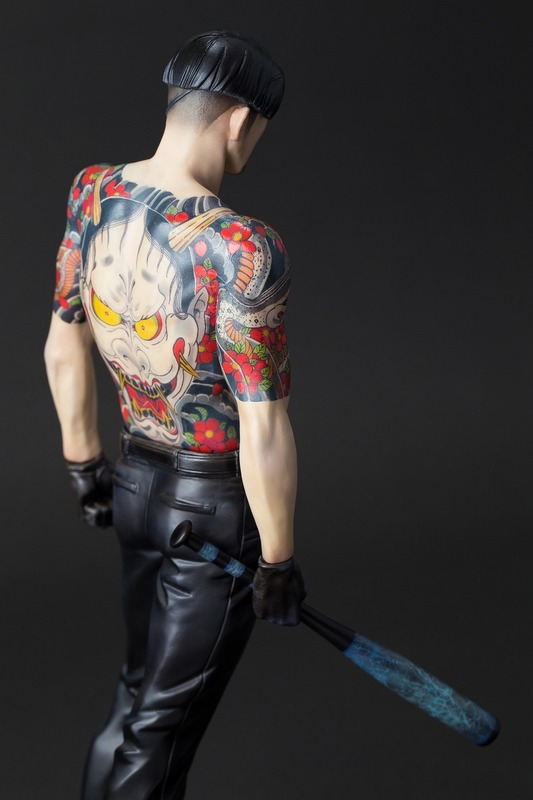 *Please note that there is no direct relation between the title “Yakuza” (Ryu-ga-Gotoku) and the “Kumamon” charity. This charity is linked with this product only. 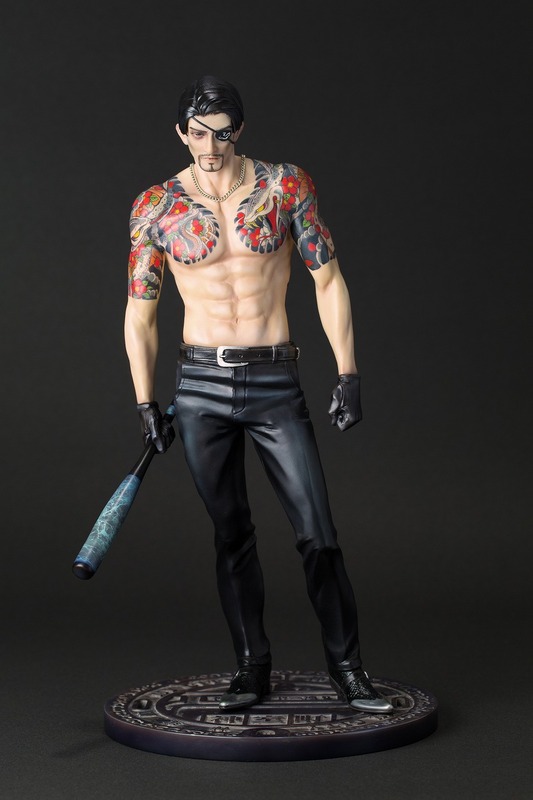 Well then, the introduction to this review has gotten a little long, but let’s take a look at the Goro Majima giant figurine from various different angles…! 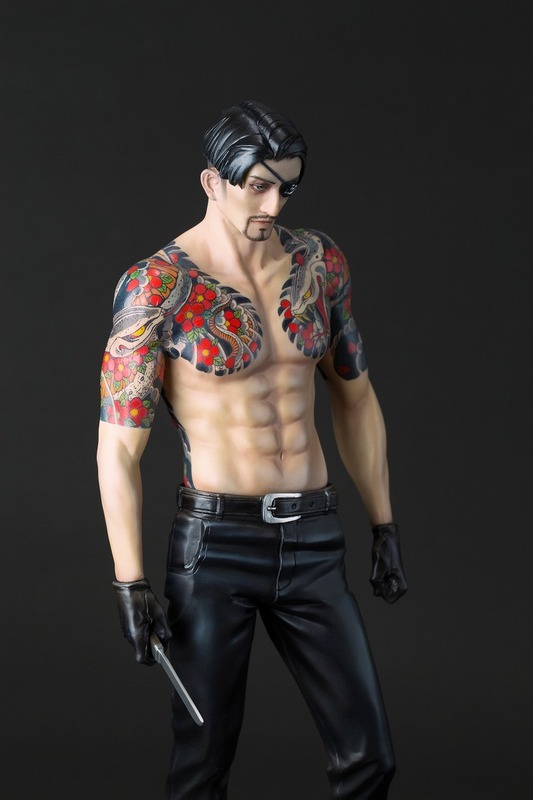 Leaving the whole “First up” aside, here is a full-body shot of the figurine. We can see that with the original character in mind there has been “Great detail and effort put into the hairline and fringe.” By the sculptor MIDORO. A shine in the hair that makes it seem as though he’s using some sort of hair-product. The “Necklace” is a “Flat link Design”. 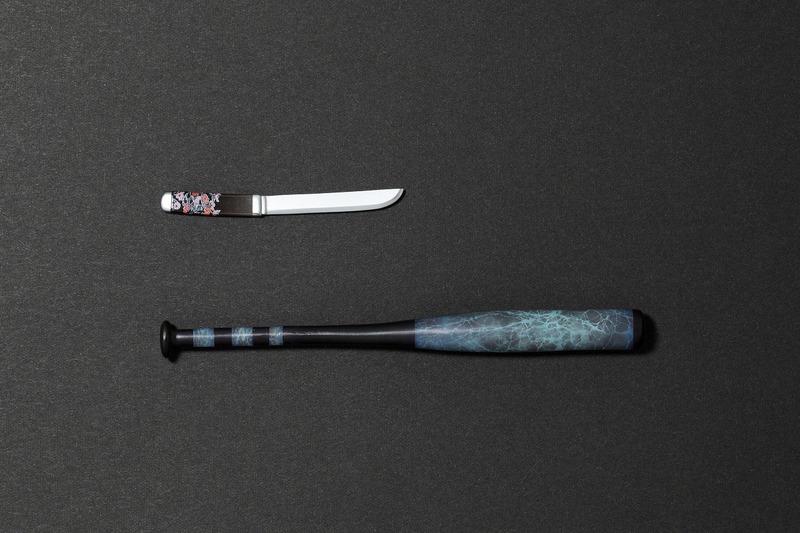 The “Bat” and “knife (Japanese:DOSU)” are interchangeable. Although he seems a little unwell he also has a sense of anger, with sanpaku eyes and a slight feeling that he’s bringing out his chin, you’re unable to read what he’s thinking, and his facial expression even now makes you feel like he has the audacity to leap out towards you. More-so than being trained thoroughly, it’s as though he has experienced everything first hand (Fights), this is his natural stance, with a sharp yet flexible build. 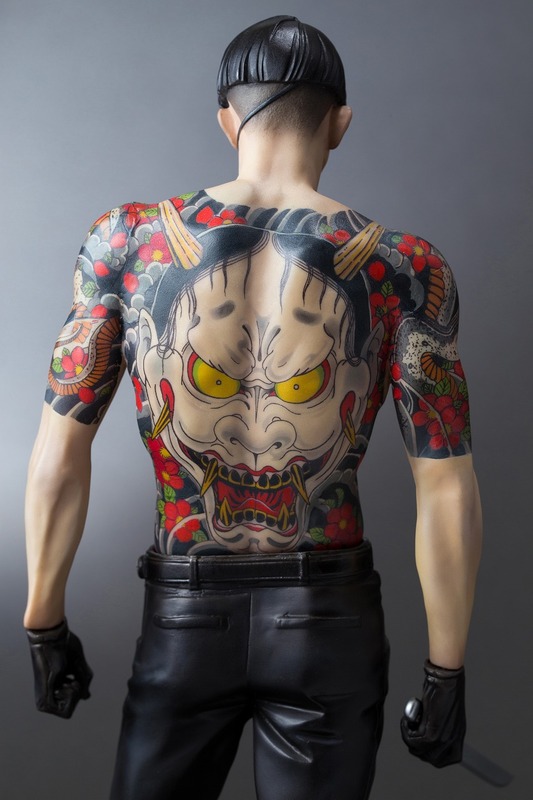 And then one of the most spectacular points on this figure, the tattoo ! A close-cropped hairstyle that is both characteristics and impressive. 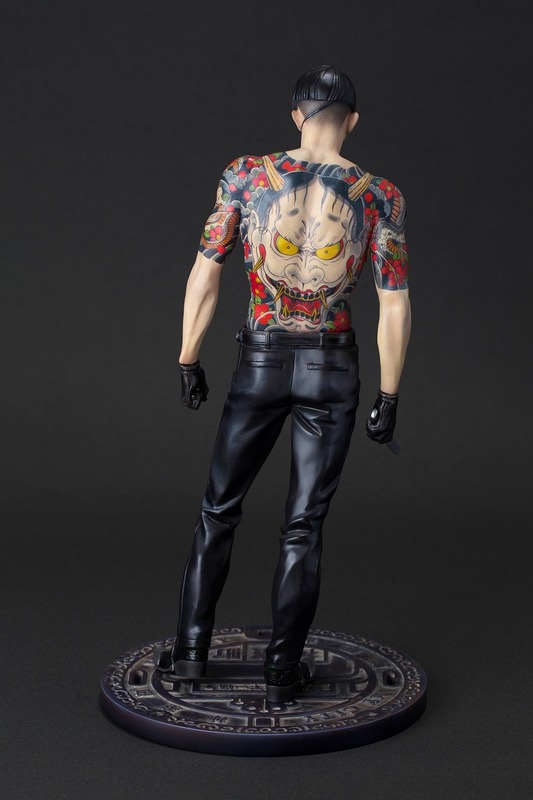 Taking the data from the game and his appearance, to make sure the curved sections of his muscles, as well as to make sure he doesn’t become 100% symmetrical, this time the tattoo is something that has been made to match the figure, however, this was of course created with the supervision of SEGA. 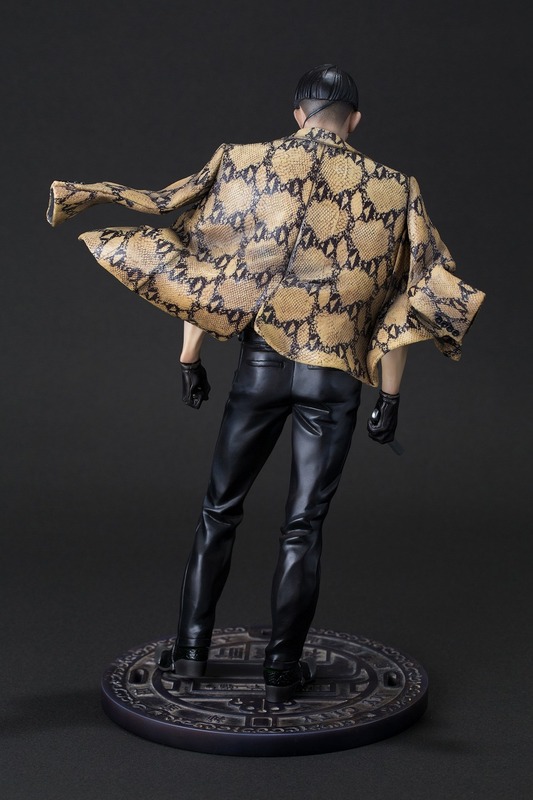 Let’s take a look at the Jacket that comes with the figure! Pursuing the goal of making it look like a real snakeskin patterned jacket, if you take a look really closely at the edges of the jacket, there are very slight tears and imperfections. 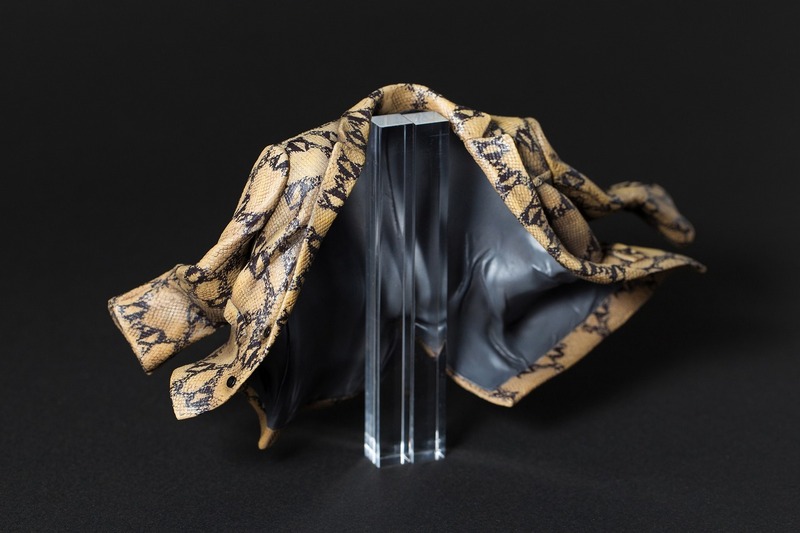 This is because a real snakeskin Jacket is made from the skin of many different sizes of snake creating this effect. With the jacket that flutters in the wind, and his slightly learned forward body line, as the two of these cross it gives a very dashing feel as well as a dangerous atmosphere, an outfit that is being showed off which feels like it can’t be seen anywhere else (intracerebral complementation). And now, once again, the weapons. 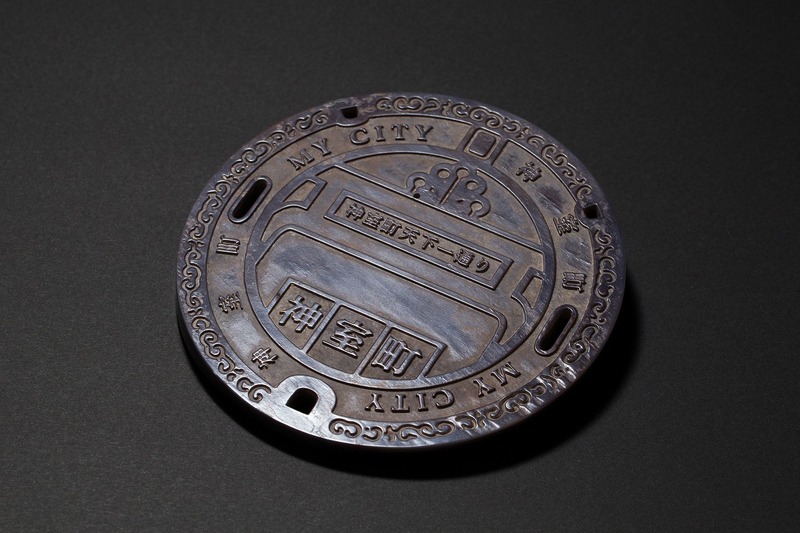 Also the additional parts that came with the figurine, exceeded expectations with a highly-detailed pedestal manhole ! Using actual data from the game itself, flavored with a slight “weathering” that feels like it comes from inside of the city, this is an original design that comes with only this product and is an amazingly detailed addition. Well that, how did you feel about it? It had an overwhelming sense of impressiveness without a single detail being left out. If you’re a fan having one in your house, displaying it is fine, gazing at it is fine, I would recommend this piece without a single doubt in my heart that it will be an article of rare beauty within your home. Go ahead and place one of these into your home as 1 family member of your very own mafia…!!! The deadline for order ends on the 2nd of October 2017. Please be aware of this as it is drawing closer. 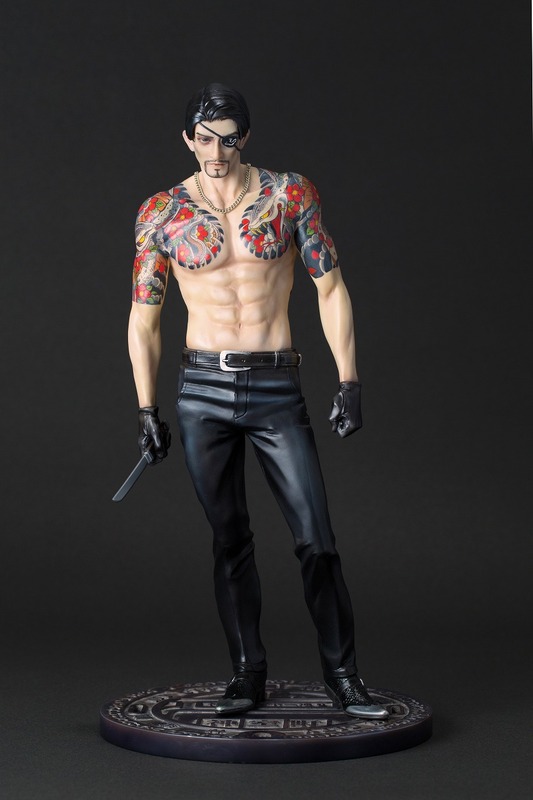 The places you can purchase this figure from are as follows. *Pre-order product. Please be aware of the deadline for orders. *In some cases the product may be a little different than the pictures shown. We ask humbly for your understanding.